In 2009, then-Burlington-based rapper Mertz released his debut recording, The Rise Above It EP. Though not without its flaws, the EP suggested the next generation of local hip-hop was in capable hands. Then he promptly left the Green Mountains for Providence, R.I. There he focused on another outlet, Present Rhymes, a band that had formed in Vermont but relocated to the smallest state in the union. But Mertz found his adopted pasture to be less green than the one he left behind. Frustrated with his group's lack of productivity, he began working on new material, collaborating with old Vermont friends and fellow expats, including producers SkysplitterInk, SXMPLELIFE and the VT Union's Nastee. The result is the rapper's first solo full-length, The Good in The Bad. The best moments on Mertz's 2009 EP were those in which the rapper used his considerable natural gifts to tell compelling stories — rather than, say, telling us how good he is at rapping. The same is true is on The Good in The Bad. The difference is that those moments are far more abundant on his new record. Perhaps because he's a little older and wiser, or maybe just because he's better at his craft, Mertz has plenty of good stories to tell. Redemption is a central theme of the record. Nowhere is this clearer than on the album's Nastee-produced lead single, "Life & Love." Here, Mertz rumbles atop a lean, insistent beat. Despite its brash, almost confrontational tone, it's an introspective look at the real work it takes to be a real working artist. But Mertz's funk-rock-flecked sermon is less an attempt at proselytizing — a point of annoyance on his 2009 EP — than a statement of personal intent and self-realization. "Actually, don't listen to me, do what you like / Me, I put my head to the grindstone," he spits with a cool detachment. "Move On" follows a similar thematic tack as the MC ruminates on stepping out on his own. Mertz unleashes his most fluid verses, bending subtly incisive lines around chill, shimmering beats from Burlington's SkySplitterInk. Even when tackling lighter subject matter, Mertz is thoughtful. On "What Comes Down Must Go Up," for example, he examines the nerve-wracking experience of proposing marriage. But rather than indulging in wistful romanticism, the rapper cunningly frames his musings in the context of a young couple struggling to make ends meet. The desire of the would-be groom to provide, and his uncertainty in his ability to do so, is brought to life in small, gritty details — a crummy bathroom, a sparsely furnished bedroom. It's both honest and moving, and evidence that Mertz has come into his own. 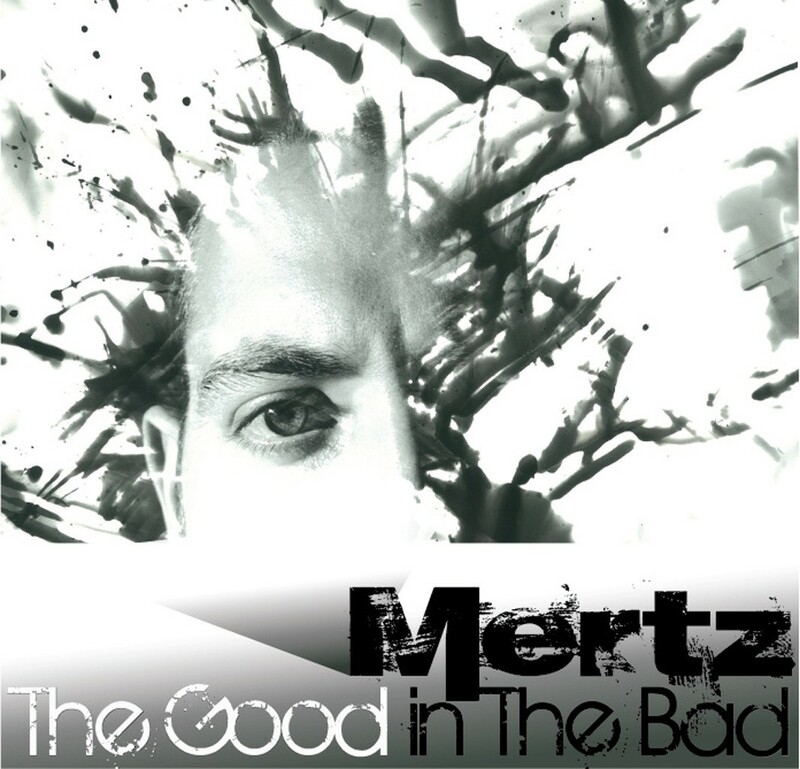 The Good in The Bad by Mertz is available at mertzhiphop.bandcamp.com. Mertz celebrates the release of his new album with a show at ArtsRiot in Burlington this Saturday, March 15, alongside locals the Lynguistic Civilians, Somewhere in the Solution, Bless the Child and Learic.